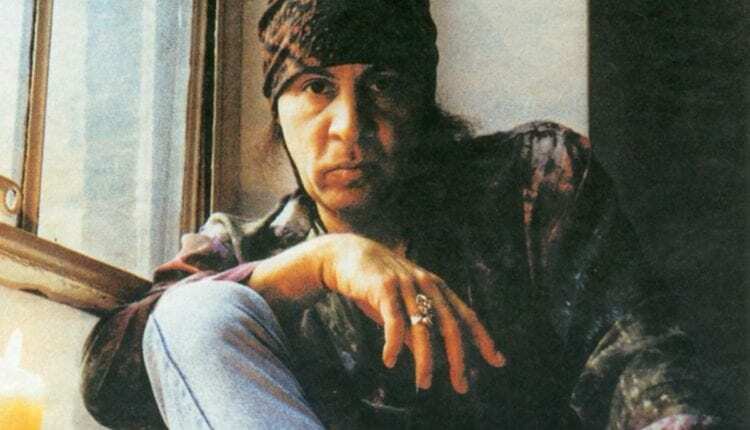 Steven Van Zandt is a product of the ‘60s, a period of time he describes as the last, great social renaissance period. Van Zandt, himself, could be described as a renaissance man. How you know of him may differ from your father. Younger generations recognize him as Silvio Dante in HBO’s hit television series “The Sopranos.” For decades, however, the guitarist has been a visible and auditory fixture in the E Street Band, famously associated with longtime friend Bruce Springsteen. But, Little Steven’s contribution to the music world extends past The Boss. Van Zandt grew up just outside Asbury Park. His formative years were spent running with a crowd that included Springsteen and “Southside” Johnny (Lyon). They would hit the local music scene, taking in shows along the Jersey Shore. Later, through their own music, the trio would help define the “New Jersey Sound” that incorporated doo-wop, blues and soul. Van Zandt’s contribution to the music world, visibly, is that of a guitarist. 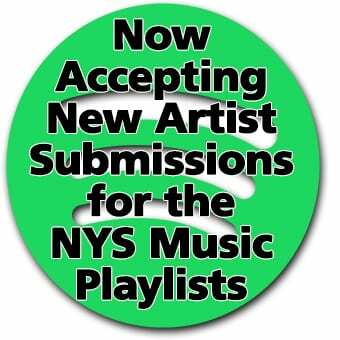 In the background, his credits include a long sheet of music he has written and provided to other bands. His songs have gone to friends like Springsteen and Southside, to Gary “U.S.” Bonds, Joey Ramone, Jackson Browne and more. There’s a signature to his music, one that includes the roots of his past influences. Despite his time with the guitar, he’s a master at arranging a horn section. Pick up a Sam & Dave album and listen. Hear that danceable rhythm and blues often accompanied by a horn section. Throw on a record and you may have people mistake it for an outtake from “Born to Run.” The similarities are not coincidental. Van Zandt’s ear for horn arrangements is what helped him land a spot on the E Street Band. It goes back to a night when Southside, Bruce and Little Steven took in a Sam & Dave show. “It just so completely knocked us out, that me and Southside decided we were going to be the white Sam & Dave,” he said. Strip away his scowl and his Jersey accent, and Van Zandt reads like a poet from that other Renaissance Period. 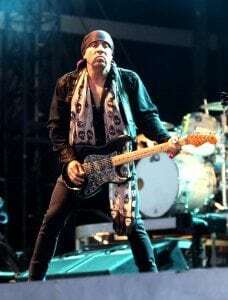 Little Steven takes to The Palace stage Friday, May 4, integrating his music with a grassroots effort to help school children stay off the streets by preserving music programs at public schools. In addition to musician and thespian, Van Zandt is an activist, something that goes as far back as his “Sun City” protests in the mid-80s. Van Zandt said he was approached by teacher organizations to help convince Washington to preserve music programs that were being eliminated in public schools due to lack of funding in the “No Child Left Behind” era. He said he walked away from conversations with Ted Kennedy and Mitch McConnell knowing nothing would be done, so he said he had an idea. Through TeachRock.org, an outlet from Van Zandt’s Rock and Roll Forever Foundation, the musician has written 100 lesson plans meant to integrate music and music history with social studies and English courses. His current tour with his band, the Disciples of Soul, is hitting several cities with the added intent of spreading word of the program. Approximately 1,000 teachers sign-up to the curriculum program each year. Lesson planners can attend a pre-show seminar and invite school children with them to attend the concert for free through TeachRock.org. 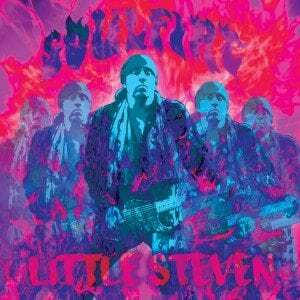 Steven Van Zandt and the Disciples of Soul released “Soulfire” last year, lauded by Rolling Stone magazine as one of the best albums of the year. Billboard magazine described it as possessing a ‘60s sound not often present in today’s Hot 100 music list. 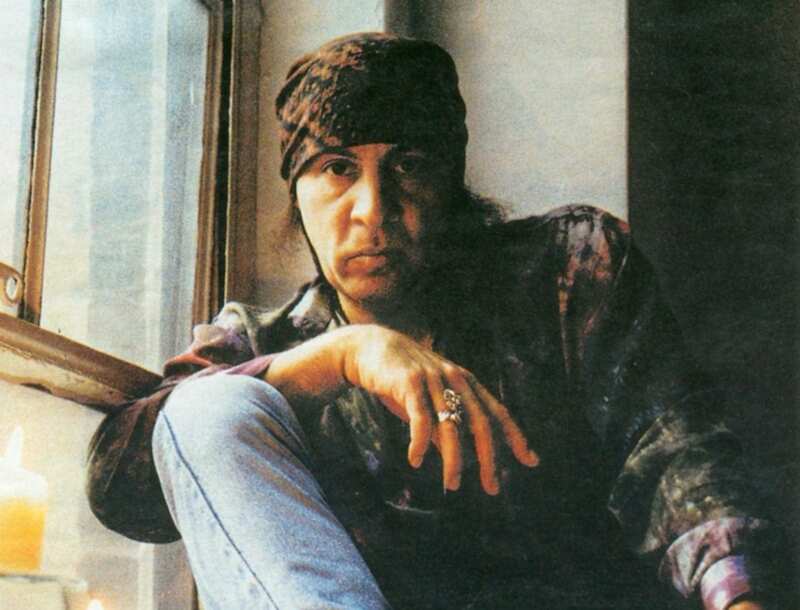 Whether the magazine intended to cast shade on Little Steven, it didn’t bother him.